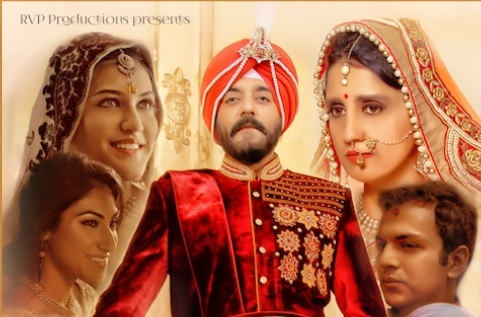 The film chronicles the tale of Princess Yadvi of Patiala. Last June, I had the opportunity to watch a film which blew me away for several reasons. From a surface level perspective, its opulence and regal aura took me in. However, more fascinating than that was the fact that not only was the film a true story, but also was written by and starred the granddaughters of the person whose story was being told. This film was Yadvi – The Dignified Princess (check out my review here ). India is a nation with thousands of stories about royalty. Whereas there are many well-known legends and tales, there are equally as many untapped real life stories of kings and queens that need to be told, and Yadvi falls into that very category. The film is the tale of Princess Yadvi from Patiala, a woman dealing with the complexity of the social mores that permeated Indian society post-independence. She was the daughter of the Maharaja of Patiala and was set to marry a Rajput prince from Maiher to fortify the political ties between her kingdom and that of the prince. The hitch, however, was that she would move to the prince’s kingdom only upon turning 21. What unfolds from this point on is a story wrought with unexpected twists and turns, putting into light questions about relationships, norms and traditions that characterized royalty and Indian society in an era of the past. It is the story of a woman who loved and stuck by her convictions in the face of adversity. Yadvi is written by Gauri Singh and stars actress Jyoti Singh in the title role. Singh herself, along with Vick Krishna, has directed the film. The melodious music has been composed by Anuj Garg, an amazing talent. According to the producers, the film will screen for a week in Beverly Hills, CA, and Manhattan, NY at the Music Hall Theater (Beverly Hills) starting May 25th ,2108—May 31st, 2018 and Cinema Village (Manhattan) from June 1st , 2018-June 7th, 2018. The film also stars popular Bollywood actor Chandrachur Singh, Vibhu Raghav, Nikkitasha Marwaha, Reshaa Sabharwal, Kuvam Handa, Yadvi Handa, Aishwarya Singh, Bernadine Linus, Mariane Borgo, Dina Rosenmeir and Minnie Pandit. The film is produced under the banner of RVP Productions by executive producer Sumeet Verma. Don’t miss this beautiful tale, told with authenticity and deep insight, coming to a theater near you! Book your tickets today! Please be sure to check out the trailer here !